Tom Lantry’s Total Garden Service proudly services Maitland, Cessnock, Pokolbin, Lochinvar, Rutherford, Telarah, Kurri Kurri, Rothbury, Branxton, Newcastle & the greater Hunter Valley with quality compliant Landscape Design & 3D Design using the latest technology & qualified experience. Whether you would like to revamp your existing garden or are building a new home and need a whole new design, our design service offers original & inviting designs to suit your needs. A garden can be a peaceful retreat or a gathering place for family & friends. A well designed garden will give enjoyment for years to come. Please view our portfolio page for examples of our design work. Designs shown have been in collaboration with Zone Creative Studio Landscape & 3D Design. Our most popular design package offers excellent value for money. This package includes client consultation, site analysis & a concept design plan. The aim of the first consultation is to gain an understanding of the vision you have for your garden. Your individual needs & budget are also discussed & we can help with ideas & constructive advice. At this stage photos are taken of the site & its surroundings. Existing features are also noted. We recommend that soil samples be taken for testing at this stage to ensure that the plants chosen for the site will be well suited to the conditions. 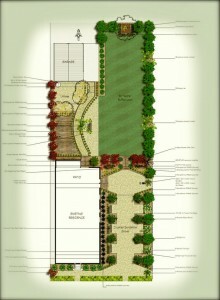 The concept plan illustrates the overall garden design for your consideration and discussion. This includes details of both planting & structural elements & is the graphic representation of the information gathered at the consultation & site analysis stages. After reviewing the concept plan, clients may choose to proceed with additional drawings. 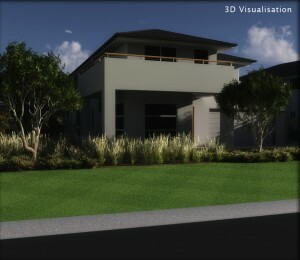 These can include structural & planting plans, 3D visualizations & plant information documents. This plan details the hardscape elements of the project such as garden edging, retaining walls, driveways etc. This plan specifies the number, placement & variety of plant species within the project. This document outlines the horticultural requirements for the care and maintenance of the various plant species included in the design. This service offers our clients the unique opportunity to see their finished garden using the latest in 3D design technology. This is a useful tool in reviewing how all the elements of the design look together before construction begins. Through our contacts in the landscaping industry we are able to source a huge range of unique garden ornamentation to complement your garden design. Statues, pots, water features, sculptures & furniture can be hand picked to suit any style.